Big news on the farm this week! Gene surprised me with four new baby chickens! And these aren’t just any old run of the mill chicks, these are fancy chicks. 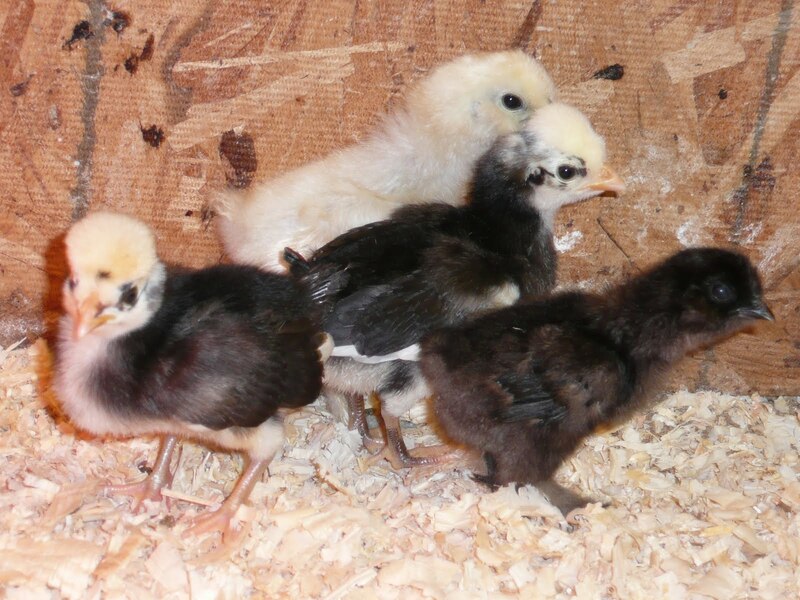 Two of them are Silkies, and two are Polish. 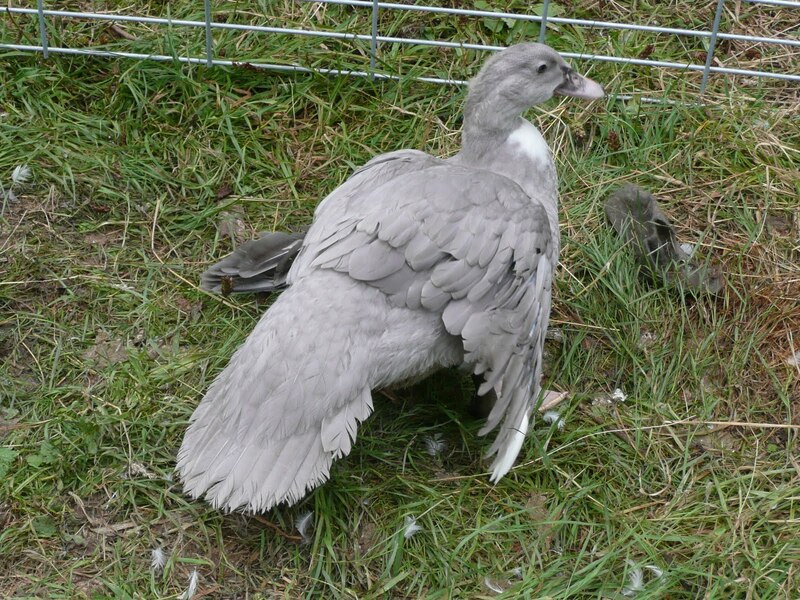 When they’re adults, the Silkies will be covered in huge poofy clouds of feathers. They kind of look like that creature that Luke rode in Star Wars on that Ice Planet thing. (I’m sure Bess Bess could tell you both the name of the planet and the name of the critter. I smell nerd.) We have a black one and a white one. I can’t wait – they will be so covered in fluff they won’t even look like chickens. The Polish breed look like Fraggles, from back in the day. They’ll have fancy sprays of feathers coming off their heads, kind of like Farah Fawcett if she had dreadlocks. The only downside to these particular chickens is that the store doesn’t screen them for gender, so for all I know we could have four roosters. 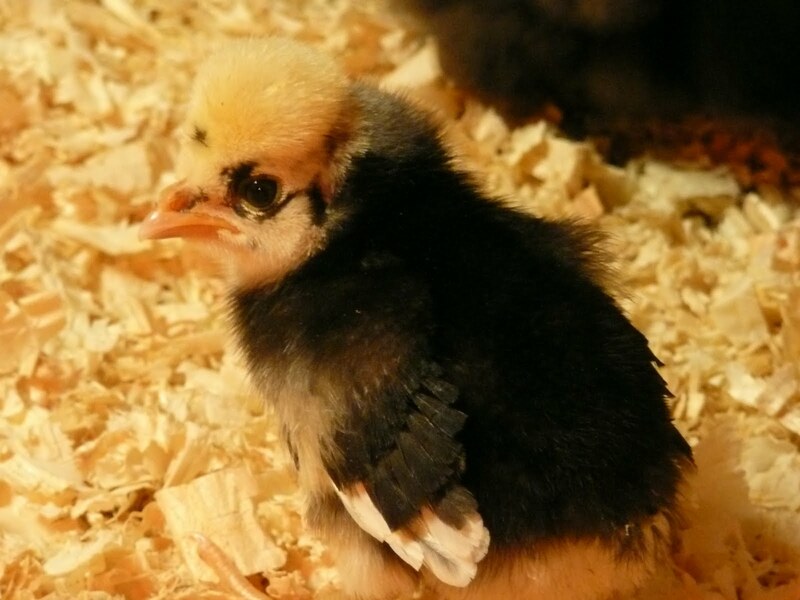 The chicks are quite active, and they seem friendlier than the other ones did at this age. They should be ready to mingle with the rest of the flock by October. I’m not worried about them fitting in, they’ll have great hair so obviously they’ll be popular. In other fowl news, the Bedonkaducks are getting along well. Gene and the kids built them their own fenced off area to keep the goats and turkeys from eating all their food. We needed a new fence along the front of the pasture anyway because the goats keep rubbing against it. The turkeys are pretty annoyed about being shut out, I think they liked hanging out by the pool. The special Bedonkaduck is looking progressively more ridiculous the bigger he gets. I’ve decided he must be a male duck, because he has blue feathers starting to come in, while the other gray duck doesn’t. I’m not sure if that’s why his wings are messed up, or if he just lacks the strength to hold them properly. He’s great fun to watch, because the other two are tall and thin, and he’s about as wide as he is tall and waddles every where. I need to start giving them treats, now that they’re older, so they won’t be jealous when I give them out to every one else. The turkeys and chickens love watermelon the best, and the goats love when I give them the radish tops. I went to the pet store today because I ran out of cat treats (they were threatening to riot), and I noticed they had crickets on sale 12 for a dollar. Naturally I came home with two dozen for the chickens, because watching them chase the crickets is epic entertainment. They come in a plastic bag filled with air and tied with a rubber band, just like fish, minus the water. I put the plastic bag in a paper bag and sat it on the counter in the kitchen until I was ready to hand them out, and immediately Chunk decided he needed some crickets too. 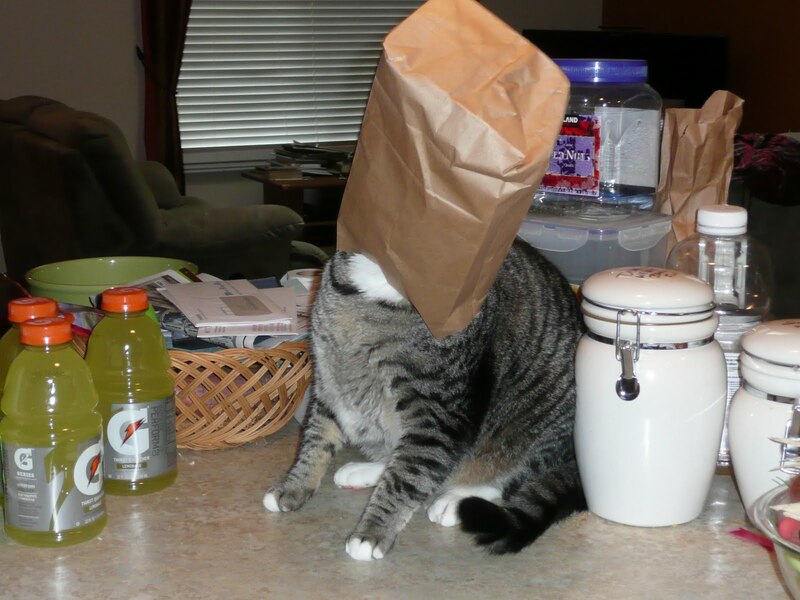 Then he got his head stuck in the bag, which was the funniest thing ever until I realized it would cease to be amusing the moment he freed the crickets. It’s an exciting time in the garden too – I harvested my second batch of lentils, and I’m getting faster at husking them. 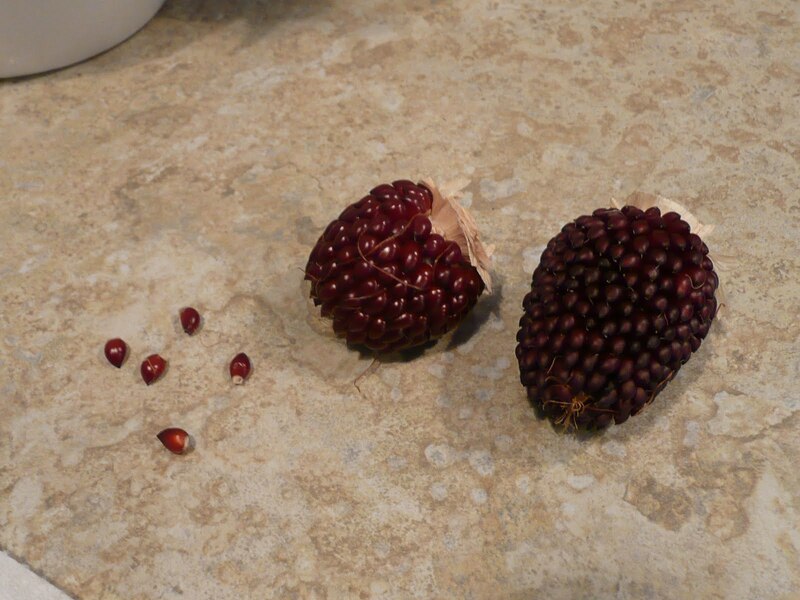 I also figured out the perfect time to pick them, which is when the pod turns a beautiful shade of dark purple. I’m a little worried, because the variety I bought is called “French Blue” lentils (and I bought them from a French company! 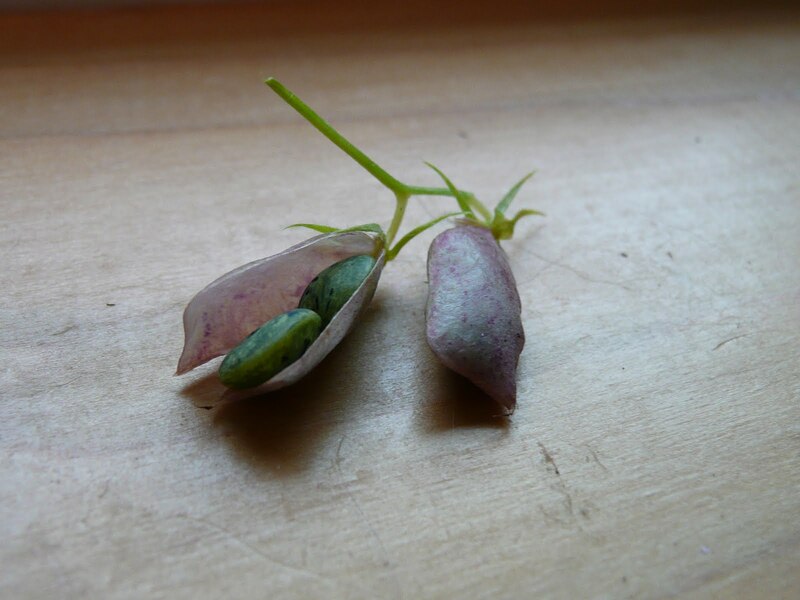 ), and in the photo the lentils are blue, but what came out of my pods is distinctly green. 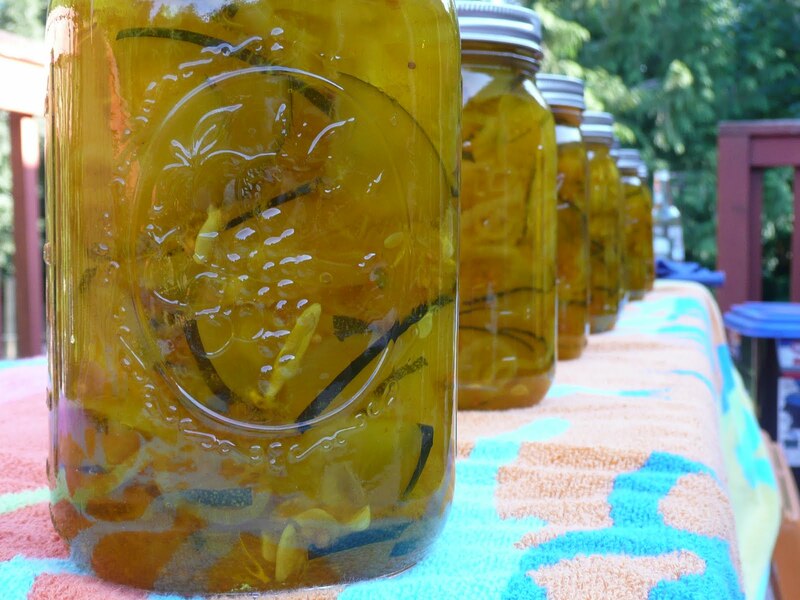 Green in a good way, though, not green in a bad, OMG look what my pickle brine turned into kind of way. Sadly, my second batch of salt brine pickles were no better than the first batch, so I’m done with salt brining. Last weekend we went back to making pickles the normal way, and Gene and I turned 8 pounds of zucchini (which was in the form of two large ones) into zucchini pickles. 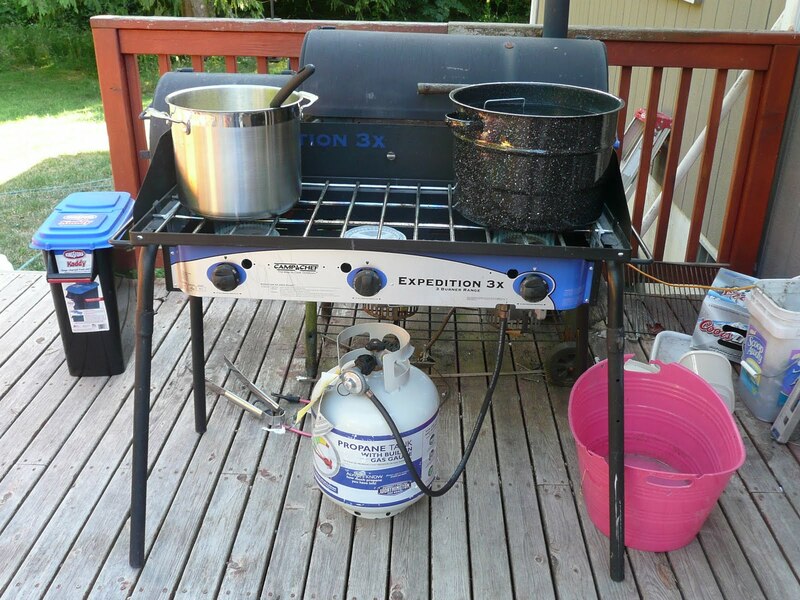 Gene set up the canning station outside, which is way faster than boiling water inside because we use the propane camp stove. And by we, I mean Gene. I’m not allowed to touch it for many reasons, most of which involve preventing an explosion. I can’t wait until there are enough tomatoes and peppers to make salsa again! Today, for the first time ever, I made popcorn using corn I had grown from seeds! 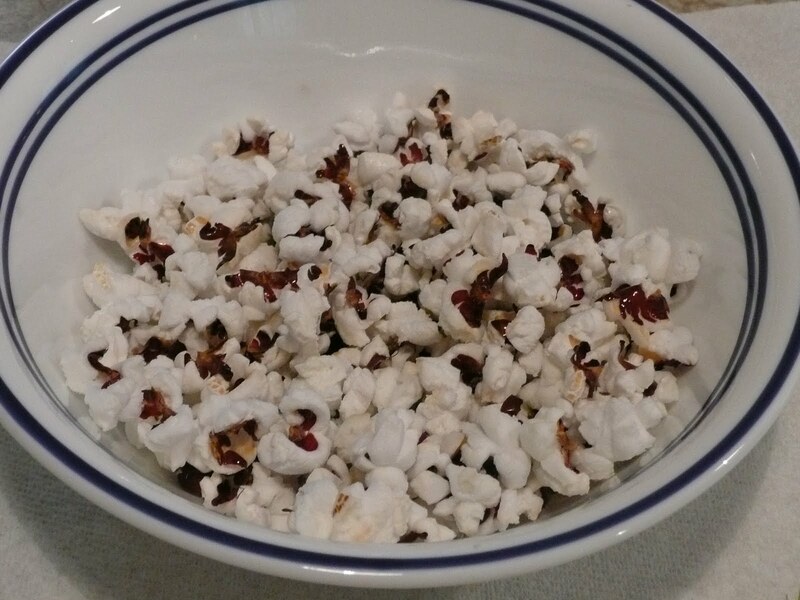 Two ears of my raspberry popcorn looked dried out enough to try popping. It took me about 30 minutes to get the seeds off the cob, and I only got approximately 1 tablespoon of kernels, but it tasted sooooo good. And you can eat the kernels even if they don’t pop! I don’t know if it’s a freshness thing, but they aren’t rock hard like the kind you buy in the store. They’re crunchy, almost the same consistency as croutons. They tasted really good, and they’re a beautiful purple color. I would love to have a farm large enough to grow everything we need to be totally self-sufficient….I love the feeling of knowing I grew what I’m eating, especially stuff like popcorn and peanuts. If I could only figure out how to grow sugarcane in my greenhouse, I could make my own caramel corn! I have made quite a few dinners this season out of my garden veggies; my favorite to date is “eggplant two ways”. It’s breaded eggplant medallions baked in the oven, with sauteed eggplant and bok choy on the side. I use some pretty aggressive seasonings so it has a nice flavor story. And I figured out how to make a nummy sauce for the bok choy out of olive oil and butter. (It’s really easy – you put olive oil and butter in the pan. Mmmmm.). Cooking is challenging considering I have to babysit the puppies while I’m doing it. Ceri especially loves to chew on the couch, and anything else she can levitate to and get in her mouth. She knocked a full can of fish food off the top of the fish tank yesterday, then she and Chupi chowed down. Again. This is the second time she’s done that, and I still can’t figure out how she’s getting up there. Then today she knocked a carton of 12 fresh eggs off the counter (the far back of the counter, mind you), then she and Chupi started eating them. I was able to save one, and cleaned up five. Ceri had one intact one in her mouth, and I chased her around the couch several times yelling, “Don’t break the egg!!!!”. I managed to rescue that one intact. Either they ate five raw eggs, or there’s going to be an nasty nasty smell in a few days coming from the ones I can’t find. 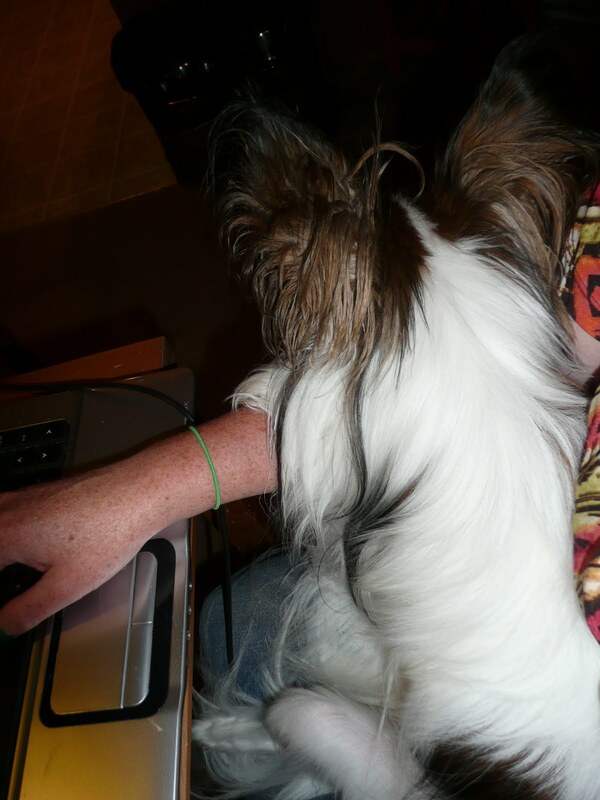 Chupi knows I’m vexed because he wanted to sit in my lap while I’m writing this, which he usually only does if he knows he did something wrong. I swear, it’s a good thing they’re cute. Even though this proves my nerd-dom, the challenge has been thrown out there to name the thing Luke rode on the ice plant. That would be a tauntaun on the ice planet of Hoth. Furthermore, I would like to point out that Luke was out looking for the probe droid that breached the perimeter. Yeah. That's right – I'm a nerd. I can't wait to see the fancy chickens when I'm out there – and Annie, I fully expect one entire blog to be devoted to my visit. but I have to approve the pictures. Gotta make sure that my hobbies of couch sitting and remote control lifting are not evident from my appearance in the pictures. Hey the dogs know eggs are good for them too!!! I do so want to come out and see your farm….when can we come! !